The greenery in the district is rapidly declining. Accomplishments are gradually disappearing due to selfishness. Forest encroachment is in exile. As a result, the level of greenery has fallen significantly. Forest officials are limited to registering cases against the invaders. The calculations are counted in the capture of the land that is caught in the kabza. It is a situation where people can not afford to work for years. About 10 thousand hectares of forest land were occupied in the district.Agricultural crops are harvested by cultivating two crops by cultivating water for motorcycles. Kondapalli, Atavinakkulam, A. Kondooru, G.Condooru, Thiruvarur and other parts of the area were heavily occupied. In this situation, the Forest Department has begun to free some lands from captivity. It also needs support from the revenue and survey departments. This results in the coordination between these three branches.There are a total of 49,716.87 hectares forest covering all three forest areas in the district. In the Nuzvid range, 12,708.8 hectares, in the range of 11,619.67 in the range of Milwaavar, in Vijayawada range 25,388.4 ha is covered in forests. Although the area is well, there are more occupations. Over 10 thousand hectares have been exposed. It is 20 percent of the total area. The district has a dense forest cover of only 7.55 per cent of the total forest area covering 33.3 per cent. Most of these are dependent. If the trees are not beaten, the threat to the environment is unlikely. Rainfall drops well. The forest area in the district is decreasing. This is also underground water level. Temperatures are also rising. Due to the timely rainfall conditions are coming up. Additionally, it became a problem for animals. Their survival has been questionable as the forest area is shrinking. The Musunuru Naal zone is located in the dense reservoir forest area of ​​Kandrenipani. Out of 1,857 hectares, 1,594 hectares have been displaced. Cattranipadu, Chilboyainpalli, Whalputala, Gopavaram, woodpally, Gudiipattu, etc. are more aggressive in the area. Cases are mostly in courts. Agricultural electricity connections are around 120. Nearly 3,000 acres of land in the Chitra Mandal are inaccessible. Most of the sixth of the area was occupied by an area of ​​2,400 acres. Somavaram, Chittapur, occupy 600 acres of land. These are the landlords of the outskirts. All of these are suitable for cultivation, with mango, maize, and other crops. This situation has also occurred in the Mylavaram mandal. Over 40 acres of land and ten acres in the leaflet. Mango and cotton crops are being cultivated. They also occupy and conserve the forest lands near their lands. 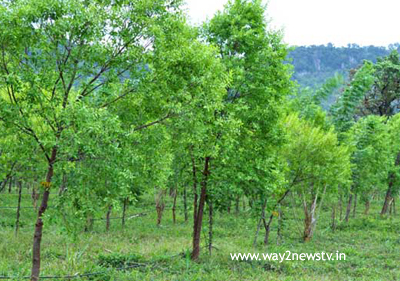 There are two hectares of forest areas stretching in Thiruvoor, Gamampulduem and A. Konduru mandals in the area of ​​A. Under 200 hectares, plants are planted under planting units. Officials estimate that the rest of the ground floor, except hills and cliffs, is almost in captivity. This is the mandal of Krishna Rao Palampu and hundreds of acres of forest in the area of ​​Antalya Revenue. Many land holders are occupying landowners and cultivating mango crops. Electricity connections are taken into account and the farmers are engaged in agricultural electricity motors. Thousands of acres of forest land were seized in the areas of Tiruvuru mandal Mallela, Ramanapalem, Anjaneyapuram, Chautapalli and Revenue. Some are creating and selling errors to land occupied. In the occupied lands are cultivated. The controversy continues in Malle. Forests in the area of ​​the Gamampaludam area, also the revenue of the revenue, have suffered. Some farmers who have agricultural lands near the forests have occupied the land of the sanctuary and cultivated paddy fields.